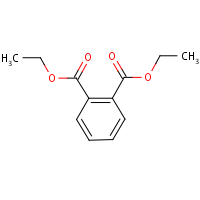 Status: Development of the diethyl phthalate (dep) (re)assessment has been discontinued. Not assessed under the IRIS Program. Pertinent data regarding carcinogenicity were not located in the available literature. This may be a synopsis of the full weight-of-evidence narrative. Note: The diethyl phthalate (dep) (re)assessment has been discontinued. A new/updated assessment will not be added to the IRIS database at this time. Contact Us to ask a question, provide feedback or report a problem.